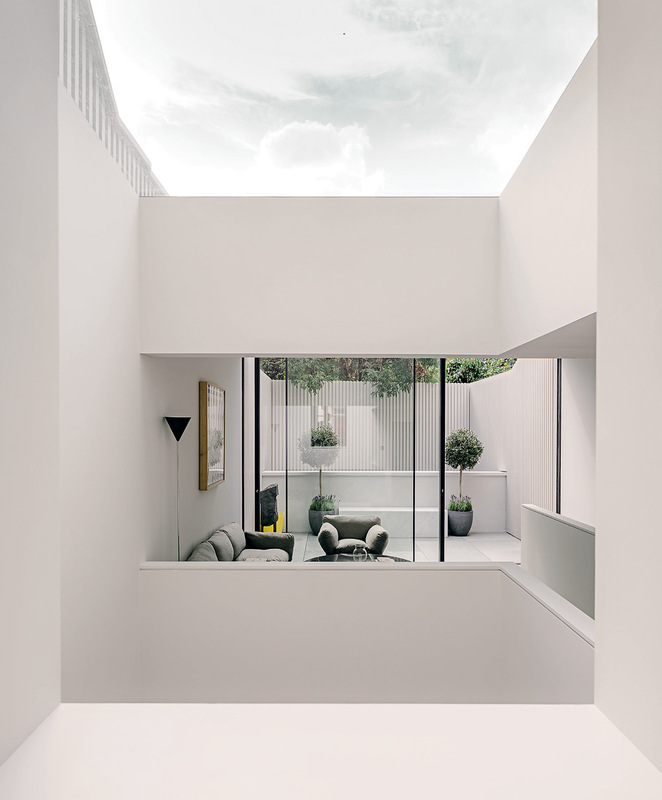 Business finance specialist Lawrence Salem and project manager Gabriel Chipperfield had been looking for some time for the perfect project to kickstart their joint property venture when they came across a Grade II-listed house on Eccleston Street in Belgravia, London. ‘It was a mess, so the project was primarily about straightening everything out, restoring the original 1850s building, as well as adding several modern extensions to the top, bottom, and back of the house,’ recalls Chipperfield, who developed and designed the house, with Salem, ‘under the watchful eye’ of his father, David Chipperfield. The pair focused on opening up the old house, adding a new basement, rear facade and steelwork ‘to frame everything and support the new top floor and those marble bathtubs’ – and the results prove that the apple hasn’t fallen far from the tree. 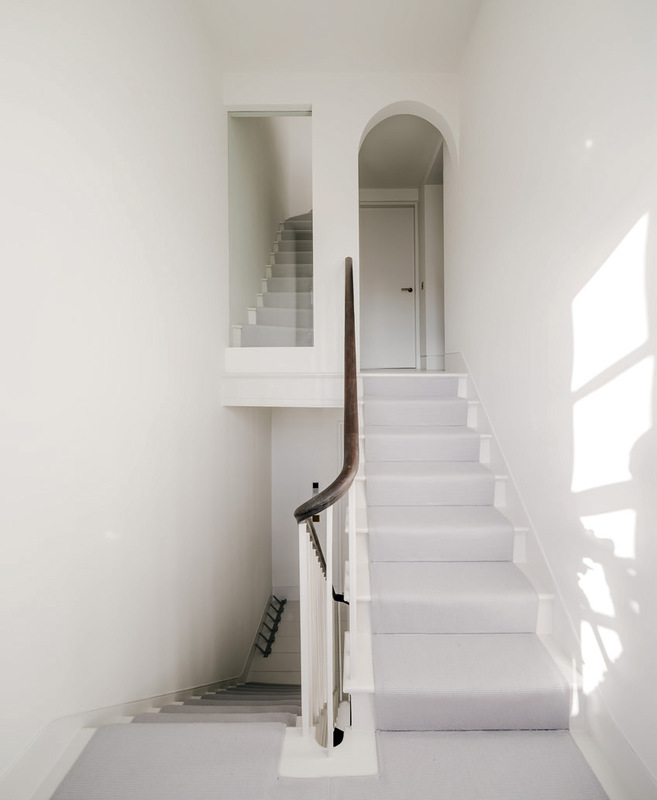 The clean, white interiors, featuring Carrara marble, restored original timber flooring and Pietra Serena limestone, feel warm yet modern, thanks to the incorporation of leather elements and custom-designed ironmongery and joinery. Lighting was provided by Milan-based firm Viabizzuno. The property spans 3,900 sq ft and six levels that include four bedrooms, a reception room, screening room, garden room and terrace. An 800 sq ft kitchen and dining area sits in the extension’s lower level, amply lit by lightwells, and the views through the different levels, skylights and double height spaces, coupled with the crisp interiors, give the house its particularly airy feel.